Aotearoa is celebrating the 125th anniversary of women gaining the right to vote. Aotearoa was the first country to extend this right to women in 1893 and we have a proud history of strong women leaders in our whānau, hapū, iwi and communities. I belong to a group called Wāhine Hīkoi, a group of women who come together regularly to enjoy each others company, strengthen and support each other in Te Reo me ona tikanga. The rōpu has a commitment to staying physically active, connecting with Papatūānuku (Mother Earth) and using Te Reo to the best of our ability. We run, tramp, bike, sing and laugh our way around the motu. There are some awesome skills and talents in the group, the most recent being some members learning to play the ukulele. There are between 8-12 members in the group at any one time as wāhine do what they can within their mahi and whānau commitments. The kai is always outstanding. What makes this rōpu different is the aroha and manaaki shown to each other and those who happen to stray across our path. These are the values we want to pass on to our tamariki and moko. Tuku Reihana was a participant of Māori Tikanga Wānanga and has recently been made a tutor and leader. Ko te mea nui mō au me ēnei Wānanga, ko te Tikanga, Te Matauranga Ki te Whakāko ngā mea e pa ana ki ahau, me mātou te Iwi Māori. Ki te pupū ake ngā kawa rerekē ō tātou tīpuna. Hei ora ai mō ake tonu. He mea tino harikoa mō au ki te kite i te whanaungatanga me te mana rangatiratanga I ruia mai i roto i ngā tauira mai te timatanga ki te whakamutunga ō tenei ō ngā wānanga, he nui te hanga na te mea kua kite, kua mahi, me kua ako rātou ngā whanonga pono ō rātou tīpuna me te iwi Māori. He ara timata mō rātou i wehe atu mai i te tikanga. Kai pai rawa! Kei te pīrangi au ki te whakāko tōku whānau kia tō te mana i roto I a tātou mo ake tonu. Ki te awhi i a rātou e pirangi ki te ako ngā Tikanga Māori. Ki te korero Maori i ngā wā katoa. Kia tū hei rangatira mō rātou e rapu ana ngā kupu āwhina e pa ana ki ngā Tikanga Māori. Nō reira tēnā koutou, tēnā koutou, tēnā koutou katoa. I really enjoy these wānanga, because it takes me back to my roots and it makes me feel one with myself and feels like I am home. With the knowledge that is shared, to the games we play and the hospitality we are blessed with, it’s a great place to start your journey. The main thing for me is seeing the students and participants who come along for the first time, who are shy and not wanting to be there, and not knowing where they come from and asking themselves why they are even there, to see them over the course of four days participate in tikanga, learning pepeha and activities such as mau rākau and flax weaving, to grow, bond and reconnect with each other and the ways of living of their ancestors and not wanting to leave the marae at the end. It is awesome, and it shows that we have a good spiritual bond with one another being Māori whether you're from different tribes or not. It is a good start to reconnect with yourself if you've never been taught or wanting to know more about tikanga Māori. For me, I want to able to teach my family and children about tikanga, so it lives on forever in my family. To be able to speak Te Reo Māori fluently all the time. To be a role model for someone who is seeking advice about where to start the re-connection to their tikanga or just to be someone they're able to seek knowledge from that will help them in their journey. 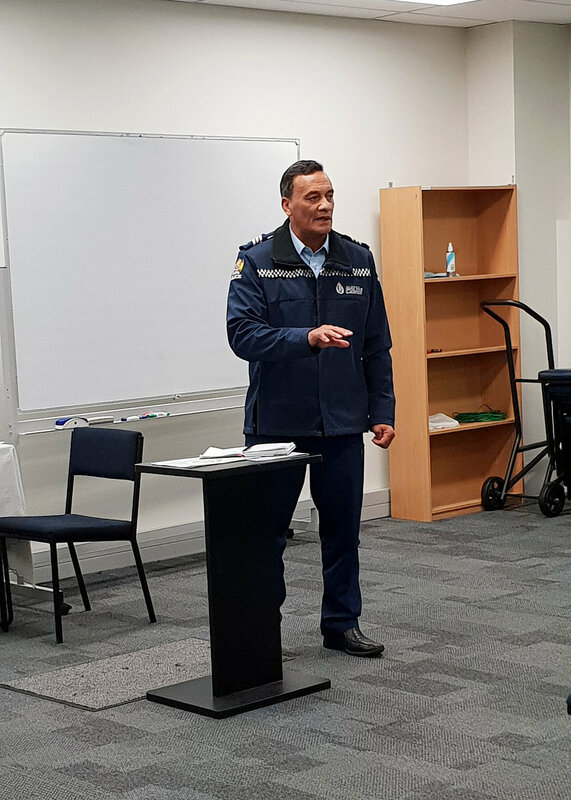 A partnership between New Zealand Corrections and Te Piki Oranga. The aim of the program is to re-connect whānau that have committed offences back to Tikanga Māori as a pathway to reduce offending. Tuku was recognised by tutors and kaumatua of the program as having potential to be a leader, a role model and an example for participants in future wānanga. Pacific at it's beautiful best! Pacific blue, frangipani, gardenia, lei, hula, smiley people, scooters, free range chooks, united approach to nursing.... (don't mention health and safety) where else… but the Cook Islands! The South Pacific Nurses forum was held in the idyllic home of our ancestors, Rarotonga. This bi-annual event has been an opportunity to share relevant nursing knowledge and findings that are original, culturally rich which can be applied to other Pacific countries. This forum aims to highlight and advance nursing practice in the Pacific Island nations. The forum ran from Mon 15th through to the 18th October. There were 43 presentations in total and covered themes of nursing practice including midwifery. Sonny and I presented on Te Piki Oranga structure and model of care which is based on our Māori values. This highlighted the strength we have as an organisation and as Māori about how advanced and developed we are in comparison to our more isolated, demographically challenged Pacific brothers and sisters! We presented a case study on our Podiatry Clinic which drew a lot of interest from nurses. The Vanuatu Nurses Association and Te Piki Oranga are investigating ways that we can share knowledge that Te Piki Oranga has gained from running podiatry clinics. Amputations from diabetes complications is one of the most pressing health issues in Vanuatu. We took the opportunity to visit Takitumu Primary School in Rarotonga and during our visit we were able to look at their Oral Health Project and discovered that they needed toothbrushes and toothpaste. We were able to courier toothbrushes and toothpaste to the school on our return to Nelson. This was a very humbling experience and being immersed in the Pacific culture gives a richness to practice as you experience first-hand the challenges and the reality of practicing in an environment with a shortage of health professionals, resources compounded by undeveloped infrastructure i.e fresh running and drinkable water, this is their reality in which Islanders face daily. I ‘d like to finish by saying; stepping off the tarmac into Rarotonga whenua in October you are fragrantly welcomed and serenaded by waiata and ukuleles playing which showcases the Pacific at it's beautiful best! It’s been quite a journey to become smokefree but Lindi has done it! Smokefree for ten weeks now and not going back! This time it’s different. Really different……! Lindi has been experimenting with the notion of quitting for eight years and has tried it all; patches, gum, lozenges, vaping and Champix. An accumulation of motivating factors drove this final attempt, from a close family member whose medical history caused her to think more seriously about theirs and her own health, her mokopuna saying “Nan give up smoking” finally hit the mark. Lindi was “sick of being sick” mostly during the winter months, 2 bronchitis attacks brought on bouts of coughing which would wake her in the night. WHAT DO YOU NOTICE NOW THAT YOU HAVE QUIT? Encouraging comments from people over time, shortening the goals like no smoking during the day, putting aside the same amount of money spent on tobacco $60 for rollies now means $60 in savings. Champix was good if I had it with food and I use nicotine replacement (NRT) gum when I have a wine. Recognise the stressors and deal with them on the spot, don’t let them build up otherwise they become insurmountable and it becomes too much. Smoking is “JUST NOT AN OPTION anymore“. I have taken up Aqua fit, I wash the car by hand and I am making a concerted effort to do more exercise”. “I wish I had given up twenty years ago, don’t wait till you become unwell and have to give up, it’s not that hard! Once I made up my mind, it really wasn’t that hard. Amber’s journey with NMIT began in 2010. She originally completed the tourism diploma as a school leaver and was headed toward a lifelong career in hospitality, paved in part by her parents who at the time owned and operated Ford’s Restaurant in Nelson, and The White Morph Kaikoura. By some twist of fate, Amber headed to America after graduation for a four-month stint as a camp counselor and lifeguard at a summer camp. While there, she was surprised to learn that the camp staff were struggling to find nurses or health care professionals who would be prepared to care for the camp kids, many of whom had severe disabilities. She also heard story after story of people’s struggles from her camp roommate - a young nurse from Christchurch. Now the natural-born advocate is working as a NetP nurse for Te Piki Oranga - the Kaupapa Māori primary health provider for the Top of the South. The service is designed for whānau who live with chronic health issues and need support and assistance. Amber’s weekly schedule involves visiting patients in their home, finding out how their Amber’s journey with NMIT began in 2010. She originally completed the tourism diploma as a school leaver and was headed toward a lifelong career in hospitality, paved in part by her parents who at the time owned and operated Ford’s Restaurant in Nelson, and The White Morph Kaikoura. The journey from Bachelor of Nursing student to Māori health nurse felt like a natural progression for the 25 year old of Ngāi Tahu descent. On Tuesday 9 October, Mental Health Awareness week was celebrated by holding a wānanga at Whakatū Marae. 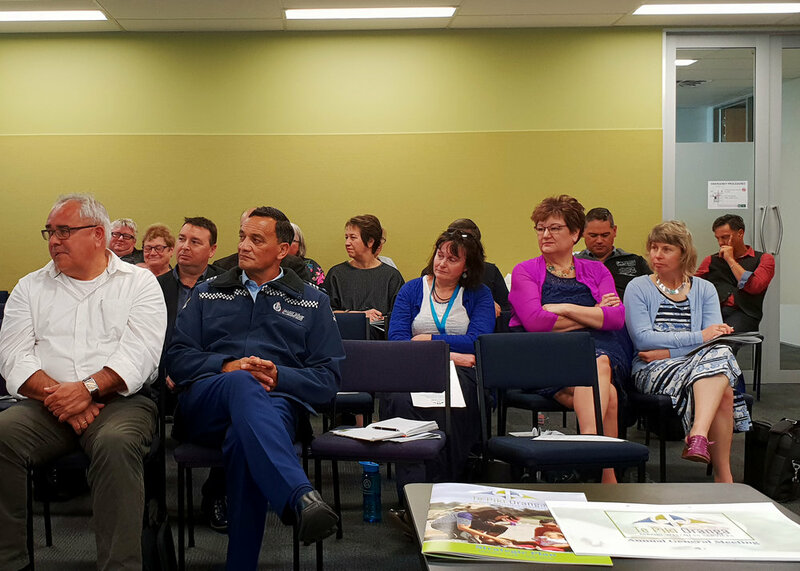 Representatives from other Mental Health service providers and their tangata whaiora within Whakatū attended. For many this was their first time on the marae and an opportunity for TPO whānau to get to know what other support services are available in the community. The majority of TPO whānau, who returned from the first wānanga, seated themselves as Tangata Whenua. As with the previous wānanga pōwhiri, the wairua that was present, was very similar with added touches of light moments, as there were a few pauses/extensions in proceedings, as visiting whānau arrived during the process. Then, purapura (name for all wānanga) was explained. Purapura is a tubular seed that reproduces underground. Just like all of us present – connection with like minded people is going to growth something within each and every one of us. Furthermore, the whakataukī “E kore au e ngaro, he kakano ahau i ruia mai i a Rangiatea” – I will never be lost - I am a seed born of greatness was the encouraging theme of the day. After the kapu ti, mihimihi was held, and a discussion started regarding whānau access to counselling and the increase of peer support workers within the industry. Information and views regarding these topics, were freely shared within this forum. The consensus view being that the pathway to accessing counselling needed to be less complicated as well as the shortage of counselors in general is very concerning. Regarding Peer Support Workers, the general view was that an increase of kaimahi with life experience is definitely warranted and needed. It was felt that these kaimahi, would sincerely empathise with the tangata whaiora due to their own personal experience, thus creating an atmosphere of warmth and understanding within the industry as a whole, for all the future service users. After tina, five groups were created and a brainstorming session was held. As with the previous wānanga, the opportunity for our service user whānau to voice their thoughts and opinions was eagerly grasped and run with, at an alarming rate. 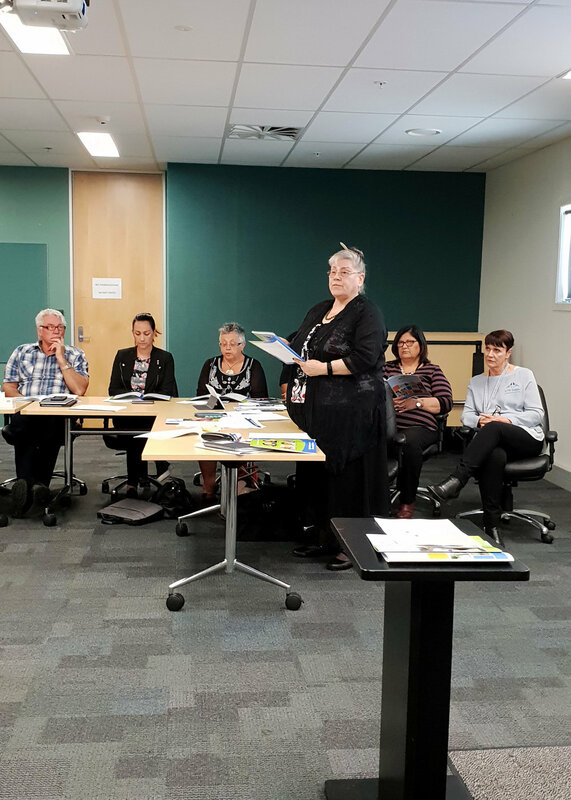 The majority of the topics/ideas presented back by rōpu, were around Peer Led Support Groups, Connecting/Building Stronger Community Relationships and Mental Health Services for Māori and Pākehā into the 21st Century. Overall, the wānanga achieved the purposes that they had be intended for. The barriers regarding cultural identity, for our whānau had been severely weakened.Though negative thoughts may return, regarding their cultural relationship. They will never forget the wairua aroha that they felt during these two wānanga. Especially the strength it provided them to koha their thoughts and ideas openly to the rest of the whānau regarding their experiences within the Mental Health Services. I am reminded of two thoughts that come to mind when reflecting on these wānanga and they are - "Sometimes God moves mountains one pebble at a time" and..."It doesn’t matter what measurement of forward momentum you make, it is all progress". The biggest thing that we can do to ensure that the forward momentum, that we have gained from these wānanga, doesn’t dissipate into nothingness. It is to ensure that we do, effective and efficient follow-up. Ensuring that our whānau receive feedback regarding their feedback to these wānanga and remind them that this program is for their benefit.Therefore, the content within these wānanga will be led by them. Regarding the network connections we have made with the other NGOs within the industry we need to ensure that we continue to strengthen these connections. No reira koutou ngā manaakitanga o te runga rawa. Nau mai, haere mai ki ngā Kaimahi hou! Our workforce development as always has been busy as we continue to grow our organisation following one of our goals in the Strategic Plan. We have successfully recruited a few new nurses for the Wairau team as featured below. Whilst we welcome some, we did have to say farewell to Ayla Legg, Pūkenga Atawhai/Nurse in Wairau to return to her family in the deep south. Ayla joined Te Piki Oranga as a NETP nurse and has been a great contributor to Wairau team. Her enthusiasm and energy will be missed. Over at Whakatū/Nelson, we farewelled Karina Hippolite our Oral Health Navigator as she returns to look after family who have health problems. We also farewelled Sheridan Duncan, Pūkenga Manaaki/Navigator in Motueka as she takes her maternity leave. Check on the He Pēpi article as we welcome her new baby. We look forward to her return to work next year. Kia ora, I’m Alivia. I’m a registered counsellor based at Te Piki Oranga Wairau as an AOD Clinician. I was born in the Waikato, raised in Taranaki and studied in Wellington. I’m half Dutch, the third of six siblings, and a recent homeowner in Blenheim. I have a range of experience from working in a Psychiatric ward in the Philippines, to an international school in Kuwait. For the last year I have been practising as an AOD clinician at NMDHB, my interest in holistic care and Maori health and well-being has prompted my exciting move to Te Piki Oranga. Born and raised in the Wairau, Andrew and I moved to Auckland in 2001 where I studied and completed a Bachelor of Health Science (Nursing) degree at Auckland University of Technology in 2003. Following my registration, I worked as a registered nurse at Auckland City hospital in General Medicine and General Surgical Wards. I also studied at Auckland University whilst working and completed a Post Graduate Certificate in Health Science. In 2006 we moved to Upper Hutt and I started work as a District Nurse for the Hutt Valley District Health Board, and after four years of district nursing I applied for and became an Associate Clinical Nurse Manager for District Nursing, where I managed a team of district nurses working in Upper Hutt. After taking some time away from work to start a family, we moved back home to Wairau in 2016 to be closer to whānau. Married to Andrew, we have two tamariki aged 6yrs and 4yrs. I enjoy spending time with whānau and being outdoors. Having only been at Te Piki Oranga as a Pūkenga Atawhai for a week, all the kaimahi I have met have been so welcoming. They have made me feel part of the Te Piki whānau and I am really happy to be part of the team and working with everyone. I am passionate about delivering quality care, supporting people where needed, and empowering people through education to help them self manage. He aha te mea nui o te ao? — What is the most important thing in the world? It is the people, it is the people, it is the people. The Duke and Duchess of Sussex Prince Harry and Meghan with our very own TPO chair whaea Jane du Feu. The weather didn’t quite hold up at the much-awaited Royal visit on October 29, 2018 but the Duke and Duchess of Sussex still had an extraordinary time at Totaranui, Abel Tasman National Park. After seeing Tamaiti Tairaki (Te Pae Oranga participant) come to life when speaking about Maori art and design, he was asked as part of his agreement to design a piece of art which represented his life and what was going on for him at that point in time. He was then asked to present it to Te Pae Oranga at the following panel. His art piece represents the conflict and relationship between his inner darkness and light. The left panel represents darkness and the right panel represents light. The triangles around the circle in the middle represent death (black) and life (white). The symbols around the outside are Love, Life, Breath and Death.The pride he had in presenting this piece to us was obvious for all to see. He and his whānau are so proud. He has since started a carving course. 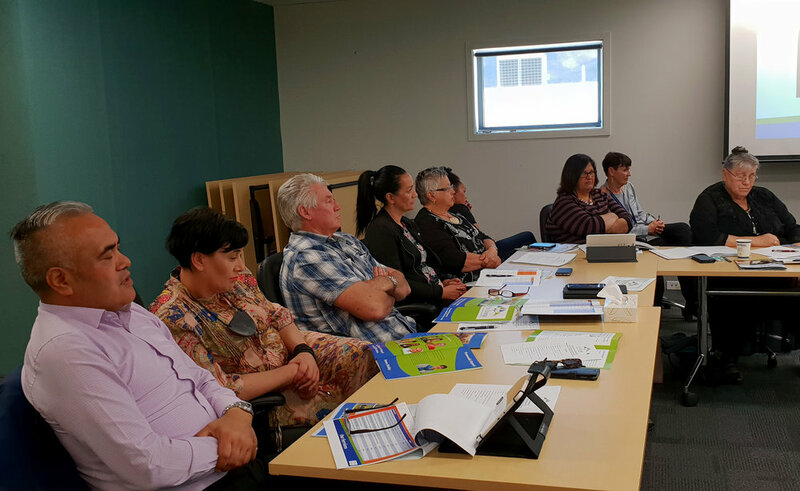 The 4th Annual General Meeting of Te Piki Oranga Limited was held last October 19, 2018. In this fourth year of operation our organisation have continued to deliver health services within an ever-changing environment and the dynamics of changing staff. Please follow the link to see a copy of our Annual Report 2017 - 2018 and our new Strategic Plan for going forward covering the next 5 years. You can also find these publications on our website. The impact of bullying is taking a toll on students’ physical and mental health, as NZ has worst teen suicide rate in the developed world. In multiple cases, students have attempted to take their lives on school grounds, unable to tolerate the abuse anymore. According to UNICEF, one in two New Zealand children are bullied at least once a month. It’s one of the most common forms of violence experienced by children and can cause long-lasting harm to victims, bystanders and the bullies themselves. In the 12 months ending August 208, Police responded to 39 incidents of bullying of children and young persons. A new report into education shows New Zealand students have the second-highest rate of bullying in the OECD. The Pisa study shows more than a quarter of Kiwi students over the age of 15, report being bullied often every month. From 12 December 2018, tenants can’t be charged letting fees. The Residential Tenancies (Prohibiting Letting Fees) Amendment Act was passed to remove additional upfront financial barriers for tenants trying to rent homes. Letting fees are normally the equivalent of one week’s rent (excl. GST), and paid at the beginning of a tenancy as an upfront cost. Charging letting fees to tenants will be an unlawful act from 12 December, and anyone who does so could be liable for up to $1,000 in exemplary damages. Any costs for letting agent services at the beginning of a tenancy may be covered by the landlord. Landlords and their agents can still recover expenses reasonably incurred from a tenant if they wish to reassign, sublet, or part with possession of their rental home. One small study out of Japan may provide an important insight into the connection between nutritional deficiencies and mental health, revealing that low levels of vitamin B6 and iron may actually trigger the chemical changes in the brain responsible for panic attacks, hyperventilation and other forms of anxiety. On Saturday September 29, 2018 Nelson Marlborough Health organised a kai fest and community health day at Victory Community Centre. The community health day was free and open to anyone. The event coincided with Cervical Screening Awareness Month and had hoped those women, particularly from the target group of Māori and Pasifika, take the opportunity to have a cervical smear during the day. Practice nurses who were experienced smear takers, had volunteered their services for the event. Te Piki Oranga Ngā Pūkenga Atawhai/Nurses Carter Stormann and Juanita Akauola and I went to support this event. Carter did all the simple health checks with males, blood pressures and health kōrero. Juanita and I managed the information desk and we took self-referrals from whānau. It was a busy day where families enjoyed a range of cultural performances, food stalls and games for children and a lot of other promotional stands. Christmas & New Year is just around the corner and all of Te Piki Oranga sites across the rohe wish to advise you of our holiday close down period. We would like to take this opportunity to thank you for your support during the year and look forward to a peaceful 2019. As you enjoy the holidays and much needed rest, please stay safe. Below is a list of some of the services available in NZ that offer nationwide support, information and help. All services are free of charge and available 24 /7. If you believe either you or someone you know is in immediate danger, please call emergency services on 111. Otherwise please use the numbers listed below for support. The Journal @ depression.org.nz - an online programme to help people learn skills to tackle depression. Women’s Refuge Crisis line 0800 733 843 (0800 REFUGE) - for women living with violence, or in fear in their relationship or family. Māori perspective is that all children are “gifted and talented” and that the community’s role is to nourish, promote the revelation of pūmanawa. The revelation of pūmanawa can appear more readily when mana and mauri are each uplifted and protected. Therefore; mana is the physical viatility and is best expressed in treating a person with dignity and respect. Mauri can be the physical vitality in all things including humans, animals, trees and these are all demonstrated through pūmanawa. The ability to identify pūmanawa in whānau and to draw these out in a way that supports their health and wellbeing is a skill. Pūmanawa can be demonstrated via pūrakau or story telling. Te Piki Oranga acknowledges Ahorangi Meihana Durie for sharing his vast knowledge of mātauranga Māori in a way that was inclusive. On 15 November 2018, Te Piki Oranga Whakatū held a diabetes hui in conjunction with Lions Nelson to acknowledge Diabetes Awareness Day. John Bilderbeck and his team came and supported us with a barbecue made up of healthy kai, with pita bread, salad and a small portion of meat. Freshwater was provided with pineapple or orange. All participants were encouraged to undertake a walk and enjoy the Atawhai area. The Whakatū TPO team decided to look at ourselves and how we could increase our knowledge about diabetes. Our nurses provided free diabetes checks and health assessments. Other Māori services on the marae joined our event to learn more, this included the team from Whakatū Marae Whānau Ora, Te Akina o Tea Tai and Te Pouawai Kohanga. Ian Davidson kindly arrived with games and entertainment that involved bubbles, juggling and all sorts of balancing acts. Te Hā (Quit smoking) coach Sonia was available with information on quitting smoking along with Bee Williamson from Nelson Bays Primary Health (NBPH) with diabetes information. We now have a selection of information available in both Te Reo Māori and English. We wish to develop more fun diabetes events involving more whānau as we spread the word about how to improve our health and wellness. If you would like to be involved in an event or speak with a nurse please contact us on ph: 5469098. 14 November 2018 is World Diabetes Day which celebrates the birthday of Canadian physician Dr. Frederick Banting, who in 1921 was credited with discovering the hormone insulin in the pancreatic extracts of dogs.